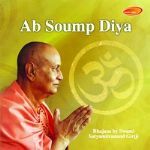 Ab Soump Diya - Bhajans by Swami Satyamitranand Giriji. 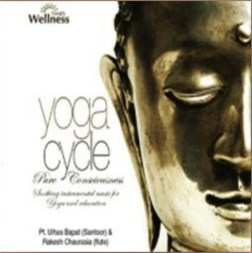 Swami Satyamitranand Giriji is one of the most respected gurus and has a huge following all over the world. Widely known for his Scholarship, Swami Satyamitranandji started editing the monthly magazine, Geeta Sandesh in 1955 and at the young age of 27, accepted the Upapeeth at Jyotirmath and was coroneted Jagatguru Shankaracharya, thus becoming the head of a renowned monastery. This allowed him the freedom and a platform to preach spirituality and the benefits of social Service to Humanity. He travelled far and wide preaching the sacred ideals of Sanatan Dharma. In June 1969 Swamiji abdicated his prestigious status of Jagatguru Shankaracharya in order to concentrate on service to others. As a Sanyasi, he has continued to serve humanity and lead them to the path of spiritual enlightenment and peace, thus continuing the mission started by Swami Vivekananda. 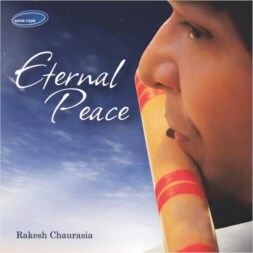 In this unique album, Swamiji has penned all the bhajans which have been beautifully rendered by world renowned singers Anup Jalota, Ashit Desai and Hema Desai, Devaki Pandit, Sanjeev Abhyankar and Alap Desai.